At this week’s meetings, FACE was pleased to appoint Dr. David Scallan as its new Secretary General. Dr. David Scallan was previously serving as FACE’s Senior Conservation Manager where he was responsible for overseeing the implementation of the federation’s conservation programme. He has a strong background in project management, EU affairs, conservation policy, game management, sustainable agriculture and human-wildlife conflict. He received his Ph.D. from the National University of Ireland Galway with a dissertation examining the economic, ecological and social place of hunting in rural Ireland. He has extensive knowledge of European hunting policy and politics as well as a passion to drive FACE’s conservation agenda. 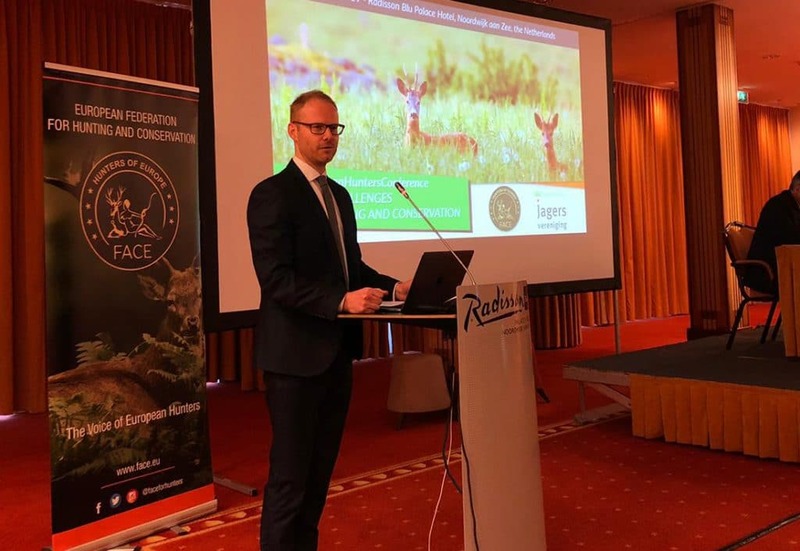 As Secretary General, he is looking forward to effectively implementing FACE’s work plan in conjunction with the heads of Europe’s national hunting associations. Concluding the Members’ meeting, FACE President Torbjörn Larsson, stated: “I’m delighted that FACE has appointed David Scallan to achieve our vision; for sustainable hunting to be widely accepted as an integral part of European culture and as a vital tool for the conservation and management of European nature and wildlife”.